After all the fun in the sun, you deserve a break from the beach to go shopping in Siesta Key. Siesta Village has a huge number of fun beach-inspired shops to choose from – located within walking distance from many of our Siesta Key vacation rentals. While shopping may not be number one on your list of things to do, you’ll definitely want to pick up a few unique souvenirs for friends and family back home. Here is our list of the top 10 shops in Siesta Key Village to get you started. This swim shack has something for everyone. With plenty of souvenirs, and clothing and accessories for both adults and kids, Beach Bazaar is sure to be a hit with the whole family – and help you out with anything you forgot to bring on your vacation to Siesta Key vacation rentals. 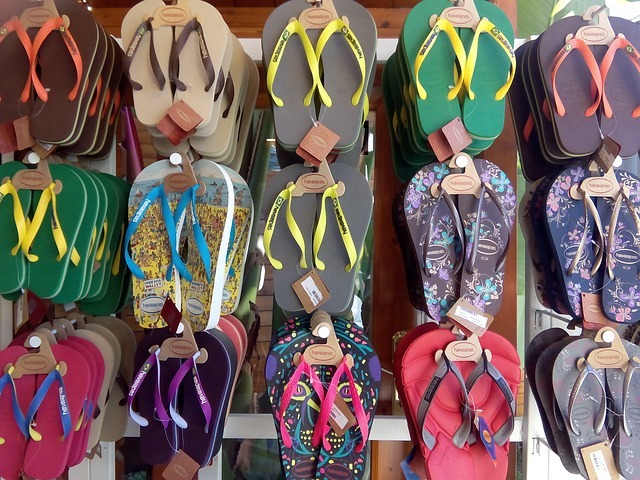 They have a huge selection of beach accessories, like sandals, sunglasses, and beach towels, and have frequent sidewalk sales. Many vacationers say it’s among the best shopping in Siesta Key. For souvenirs, beachwear, and accessories, head to Siesta Key Outfitters. They have tons of apparel and accessories to ensure you have a great beach day, as well as toys, kitschy gifts, and hilarious T-shirts. If you’re traveling with your squad, be sure to have customized T-shirts made so you can wear them all week long. This is the shop for the adventurers in the family. Specializing in rentals, sports gear, and surf wear, this store is perfect for adults and older children. It has top-of-the-line brands, all the beach accessories you might need, and rents bikes, paddleboards, and surfboards. You can find a number of custom-designed surfboards, skateboards, and T-shirts, as well. Island Boutique describes their style as “easy island living” with an Italian flair. They have a mix of beach, every day, and special occasion clothing, many made in Italy, in summery, bohemian styles. As you can imagine, Siesta T’s specialty is none other than T-shirts, a favorite souvenir on the island. They have tons of different styles, including T-shirts, tank tops, and sweaters and fleeces for chillier nights. They also sell a range of other souvenirs, as well as candles from Pure Candle Company. If you’re looking for something fun to wear on a night out, Foxy Lady offers unique, island-inspired fashion for women. Elegant with splashes of color seems to be the trend at this shop, which carries brands like Joseph Ribkoff, Lisette L Montreal, and Up! Pants. A hand-made souvenir often beats a purchased one. 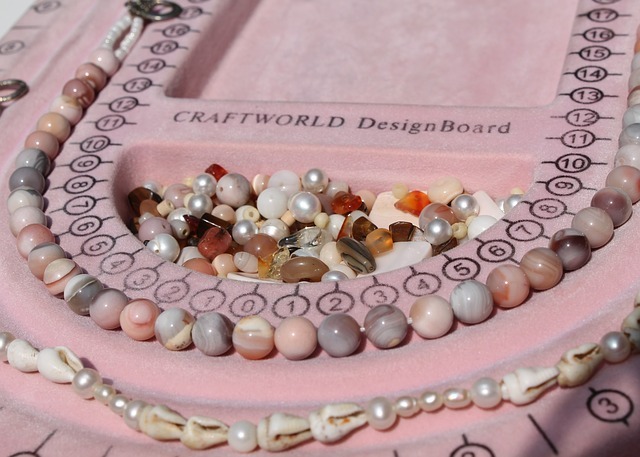 Siesta Key Bead Shack can help you craft the perfect jewelry to take home to grandma. Pick from the walls of shimmering beads, and create your masterpiece right there using the store’s tools. Staff are friendly, and always keen to lend a helping hand. For a bit of bling, check out Created Gems, a jeweler in Siesta Key Village frequented by locals and tourists alike. They sell ocean-inspired creations like shimmering gold starfish earrings or a pink stingray pendant, among other jewels. Gidget’s focuses on upscale beach apparel and ocean-inspired gifts. A “coastal general store,” they sell beach-themed houseware, jewelry, and coffee mugs, among other quirky and cute souvenirs and wearables. This art gallery, co-operative, and gift shop is one of the most unique things to do in Siesta Key. The gallery is run by a group of local artists, and houses tons of ocean-inspired art, home, décor, and wearables, such as paintings, glass jewelry, and driftwood creations. There is always a resident artist staffing the store, so be sure to ask some questions about their work. So, if you’re ready to come visit Siesta Key and immerse yourself in the shops of the Siesta Key Village, check out all our properties and find the right one for you, whether it’s on the Gulf side or the Bay side of the island. 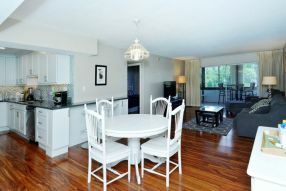 We have beachfront rentals, poolside condos, and ground floor condo rentals. Take a look around!